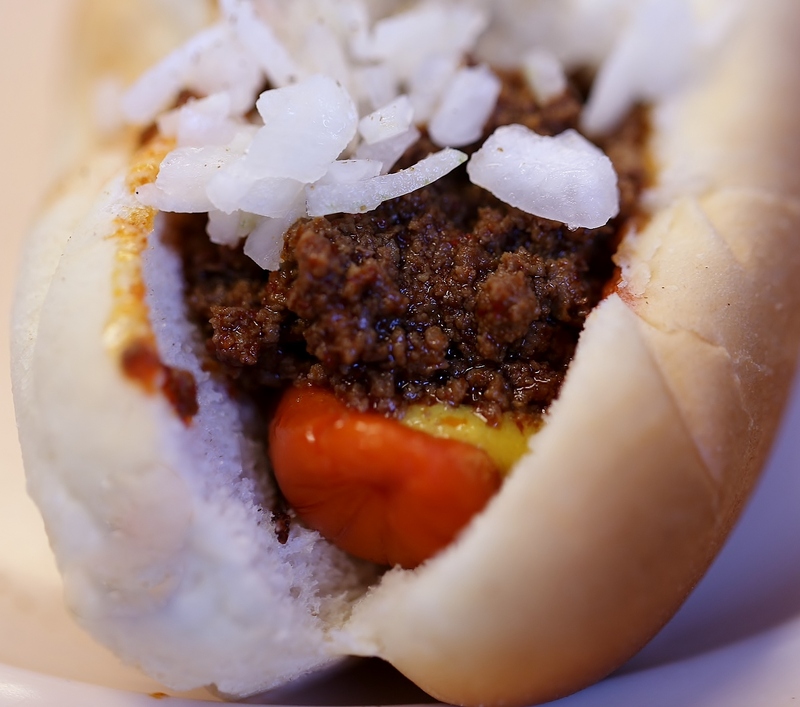 When prepared correctly, the nostalgic New York System hot weiner transports us back in time. For a moment, you can remember the grill-man lining his arm with orders being yelled to him from the counter-man. We can fondly remember ordering 3 all-the-way, with coffee milk and fries with our grandparents,parents, aunts, uncles, cousins or life-long friends. We can remember sitting at the counter while solving the world’s problems with the folks from the neighborhood. From the blue collared to the blue blooded, when you walk into a NY System Weiner joint and order, you’re nobody special – just equally important. It’s hard to believe that there exists so much history, happiness and memories inside a little steamed bun, but I assure you of its truth. When judging hot weiners, subjectivity is always a factor. In order to level the playing field, we ask that our judges use the same scoring sheet, criteria and ranking for every location. Additionally, we assigned multiple judges per restaurant in order to balance scoring outliers and variations in daily product consistency. It’s not enough for a product to be sometimes great; it needs to be great everyday – on every order. We encourage you to judge NY System Wieners in all of the following locations as we did. There are so many excellent ones to choose from. Again, we “triple-dog-dare” you! Note: On behalf of the RhodeCrew, we would like to offer our sincerest thanks to the volunteer judges who helped make the 2013 NY System Weiner Challenge a success! This entry was posted in New York System Hot Weiners, Rhode Island Restaurant Reviews, Uncategorized and tagged All the way, Belly Busters, coffee milk, Cosmic Steak Pizza and Weiners, Dot's Dairy Bar & Grille, Gaggas, Gaggers, Jesse's N.Y. System, Liberty Lunch, N.Y. System Wieners, New York System Weiners, Olneyville, Rhode Island Hot Weiners, Stykee's New York System, Weiner Genie. Bookmark the permalink. The ONLY real NY System Weiner is Oneyville Weiner. it is the BEST and Number # 1. I grew up on them just like the story says. Everytime I go back to visit RI, I halfto (have to) go there and sit at the booth and eat one. It’s awesome. But definitely not for the snotty type at all. Just people who think they are the same as everyone else. 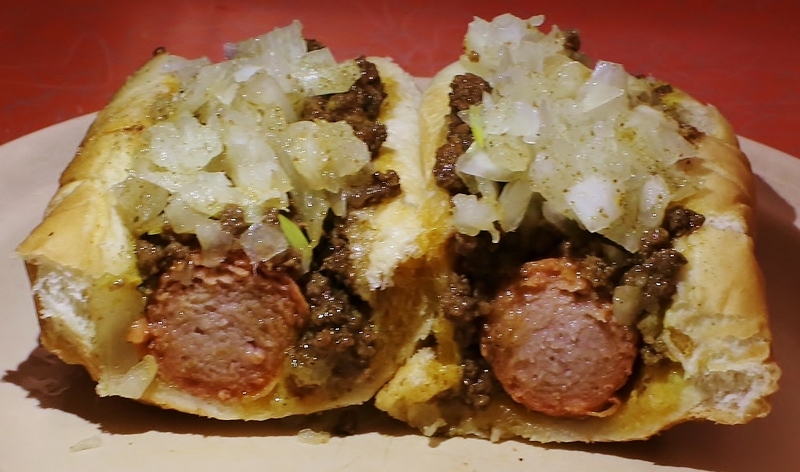 Joe – We need you to be a judge in our 2014 NY System Hot Wiener Challenge! We like the way you think! I am now living in California, cannot find a decent dog, can we have the recipe, especially for that great sauce. BTW Main Ingredient do not forget, is Celery Salt. I don’t thing they know what to do with it out here……….. THANK YOU ! Planning a trip to Providence in September for a 50th h.s. reunion. Oneyville weiner is the first stop ! This was the stop after church on Sunday, with friends late at night and anytime traveling in the area. Now I want to go sooner!!!! !